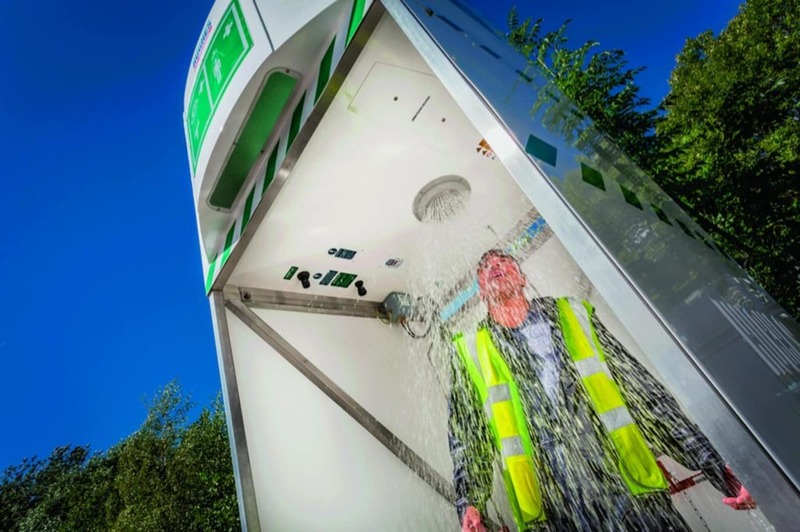 Hughes Safety Showers put the safety of your workforce first by providing emergency safety showers, eye/facewash and decontamination equipment designed to operate across all industries regardless of location, climate or local hazards. Selecting a safety shower for your application that complies with International and European standards regarding tepid water is the only way to ensure effective first aid in the event of an accident. The ANSI Z358.1-2014 and EN 15154 standards state that water delivered by emergency safety showers should be tepid, between 16-38°C (60-100°F). At temperatures above 38°C (100°F) there is the added danger of scalding and increased absorption of harmful chemicals into the skin. Prolonged exposure to water below 16°C (60°F) increases the risk of thermal shock or hypothermia. Due to the challenging environments in which many industries operate — such as freezing conditions or high temperatures, inadequate flow rates or a lack of a constant water supply — it places special demands on safety equipment. Emergency tank showers from Hughes are effective for all environments, however challenging. Designed to meet and exceed ANSI and European standards, they are capable of delivering a guaranteed flow of 76 litres (20 US gallons) per minute of tepid water for over 15 minutes. Optional immersion heaters or chiller units can be fitted to ensure the water is maintained at a tepid temperature regardless of the environment. Choosing the right optional fittings for your shower is the ideal way to gain the best safety solution for your facility. For instance, audible and visual alarms are essential to alert personnel that the safety equipment has been activated and assistance is required, particularly in remote locations. With the introduction of wireless monitoring and alarm capabilities from Hughes Safety Showers it will be even easier to select the right emergency safety equipment whatever the location. Our wireless solutions eliminate the need for costly and disruptive electrical installations when fitting a new safety shower and can also be retrofitted to any existing Hughes Safety Shower.